Posted on 16, November 2018 by EuropaWire PR Editors | This entry was posted in Business, Internet & Online, Marketing, Media, Technology, Telecom, United Kingdom and tagged AI, AI solutions, Alexa, Antonis Neocleous, Aris Pilitsopoulos, artificial-intelligence, Base Element, chatbots, Cognigy, Cognigy.AI, Communications, Conversational AI, conversational AI interfaces, conversational AI platform, conversational AI solutions, conversational AI technology, conversions, customer engagement, customer experience, digital agency, Digital marketing, IKOS Resorts, Internet Marketing, marketing, Messenger, Microsoft, MTN Telecoms, online marketing, partnership, Rio Tinto, SaaS, Slack, Twilio, user experience. Bookmark the permalink. LONDON, 16-Nov-2018 — /EuropaWire/ — Base Element, a European digital agency, and Cognigy, a leading conversational AI platform software provider have entered to a strategic partnership agreement. This partnership will enable the design and implementation of cutting-edge conversational AI solutions for clients and their brands. The teaming up of Base Element and Cognigy will provide marketers with valuable tools to drive customer engagement and increase conversions, while maintaining meaningful relationships with their audiences through conversational AI interfaces. 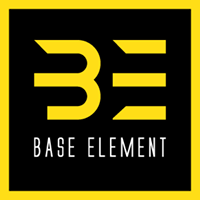 Base Element is a dynamic, fast-growing digital agency with presence in several European cities. Established in 2011, the company has worked in a range of industries across the spectrum of marketing, communications and technology, with European and global clients including Rio Tinto, Microsoft, IKOS Resorts and MTN Telecoms. Visit their website www.baseelement.digital to learn more. 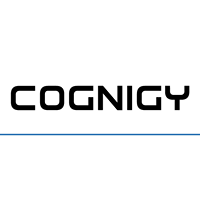 Cognigy.AI is the industry leader in Conversational AI Platform technology for enterprises, available on-Premise and SaaS. Cognigy’s solutions help organizations connect to their customers and employees on various conversational channels, such as Messenger, Alexa, Slack or Twilio, through advanced artificial intelligence. Cognigy.AI’s graphical workbench allows developers and non-technical users to build and manage intricate interactions that go far beyond simple FAQs towards complex business transactions, creating an outstanding user experience.